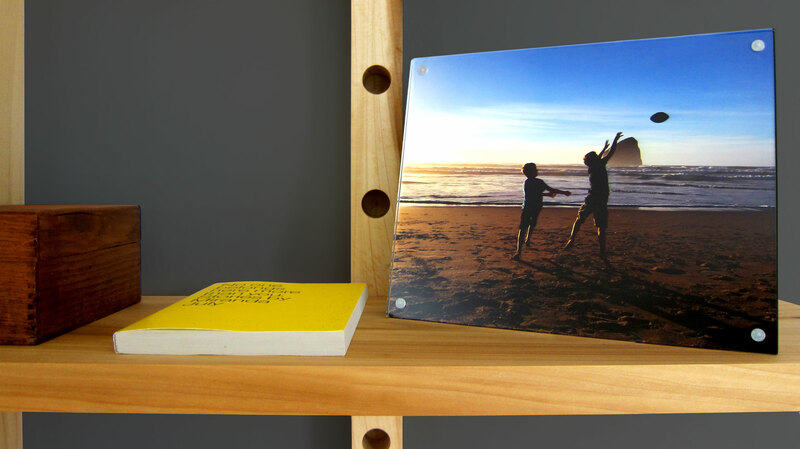 PRISM is a one-size-fits-all picture frame, made from a solid block of wood. 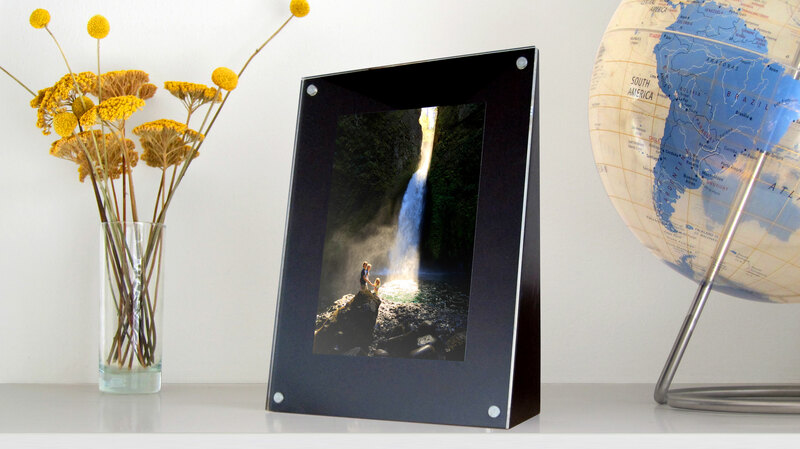 Most picture frames use a flimsy kickstand, which looks messy and feels like an afterthought. 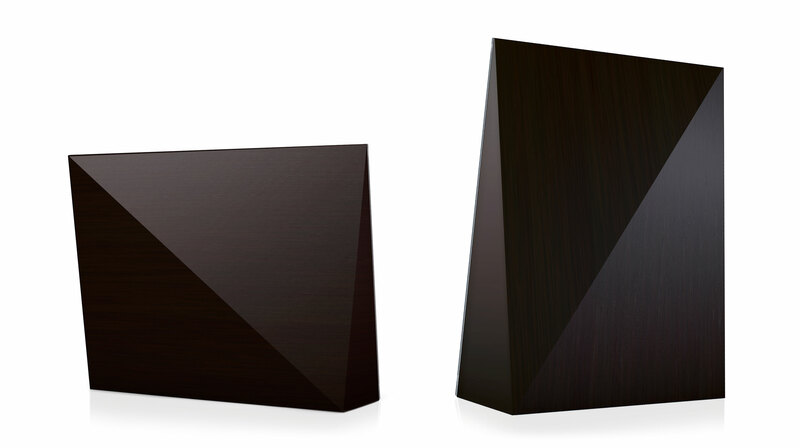 PRISM’s faceted form allows it to be both sleek and sturdy. No kickstand required. PRISM is the only frame you need. It stands firmly in both portrait and landscape orientations. 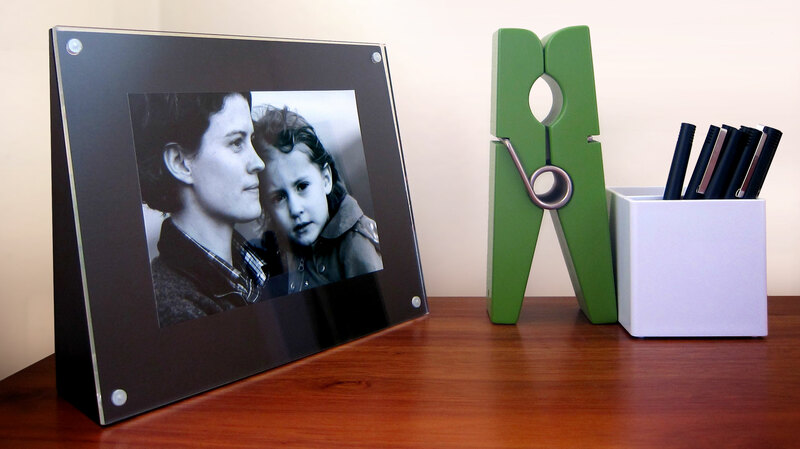 Its magnetic front cover holds all your standard size photos — or multiple photos — nicely in place.